You have had a wonderful, creative week by the looks of all of the amazing mail that came our way. Let’s ooh and ahh over all of the lovely creations! Today just happens to be the 25th of January in the 25th year of Anna Griffin, Inc. That calls for celebration! Watch Anna as she shares some of the fan mail received this week and has a fun look back at the early days of the company. Don’t forget, next Friday is the first Friday of February. That means Fan Mail is all about firsts like; the first time you have sent in a card, the first card you made with a new item or the first time you tried a new technique! We will share your firsts one week from today! We love pictures and thought you would too. These are a few of the extraordinary things that came in the mail this week – Thank you! What kinds of projects are you working on right now? We would love to know! The next few weeks are full of shows, crafting and even a huge sale! Be sure to mark your calendars and planners for all of the fun coming your way. 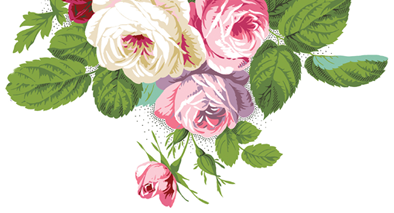 We are as busy as bees working on Valentines, and creating stunning projects for our upcoming shows. Meet us right here on the blog Monday for the beginning of our QVC UK previews! Love all the Anna-Versary 🐻 Fan Mail. I love all the papers that Anna made since 2003. Hopefully we can purchase them again if Anna reproduces the collection and paper pads. I know some of the friends are looking for all the past cut and emboss dies like the Beribboned cut and emboss dies . I think Anna Griffin is so inspirational so that we can keep up with our designs and creativity which allows us to think within the box as well as outside of the box. Will the Super Sale on Feb. 12 be for US fans? So precious how you got chocked up at the end! Fun to see your legacy in your scrapbook. Happy 9th Anna-versary! I so enjoy your fan mail fridays…..and am always touched by how much you love and are loved!!! When you teared up at the end…I did , too…. Thank you for everything, Anna. You are so generous and genuine! I love that you’ve posted photos of some of the Fan Mail! What a great way to share and get more inspiration! Thank you!! Hi Anna – Love your fan mail Friday blogs! The cards everyone creates are outstanding. I’ve been a fan and a customer since your products were sold at Michael’s (not sure of the year, early 2000’s for sure). During one of your online sales I purchased the ribbon box. Though the blog clearly states that some pieces may be missing, I was extremely disappointed that not even one ribbon was included. The quality of your ribbons is incomparable & I’d like to know if it’s a certain brand of ribbon that you use? Also, even though I have the ribbon box/maker, can you please do a demo blog on how to make the perfect bow by hand? I really like adding a ribbon to my cards but if I go to a crop at a friend’s house I don’t want to carry the box/maker, I very much appreciate your response. Hi Kathy, we will pass along to customer service. We will add a demo to our requests! Don’t cry Anna. A trip down Memory Lane can be so emotional. UnDo may remove your Victorian place card. Yes that scrapbook paper is Graphic 45. Thank you for the Decoupage kit with the 3 Mod Podge jars. A proper Thank You will come in the mail. I was out of state at my niece’s wedding when it arrived. You truly are generous to your fans. I love all the fans works. Absolute beautiful! I’ve been using your creations when you were 1st teaching us to do our own. Can you say paper pleating for borders?? You kits sure make life better! Happy Annaversary!!! Happy ANNAversary! I am also a long time fan, having purchased your fine papers from a local stationery shop when I was a teenager and then your stamps, etc. from Plaid before your venture with QVC. Your work was beautiful then, and even more beautiful today. Remember your ribbon embroidery kits? I had a few of those. So beautiful! I also recently stumbled across the original paper packs you sold on QVC and have moved those to the front of the shelf so I use them! I used your papers exclusively when I created my parents’ 50th wedding anniversary scrapbook back in 2006. I don’t send “e-cards”, just not my thing…I would rather spend the time creating something that I know means so much to my friends and family. Thank you for always supporting your fans. I also hope you’ll continue showing things from your archives, loved the seeing the scrapbooks. We will add to our requests! Such lovely cards that you shared! I loved Jeanie’s idea of having your picture in the card for your anniversary too! Smart girl! Great pic too! My favorite has to be the very first item, the scrapbooking page with the Fairy designs, Once Upon A Time! I actually bought that set a long while ago! It’s all nicely done and I am more of a scrapbooker than a card maker. I have been buying your card kits though and love them. I am slowly doing them and so far everyone loves what I have done for them. Thank you for so many new designs lately that really have to appeal to a very wide range of shoppers!!!! Good for you and Happy Anniversary to you! As I said before, You have come a long way Baby! Another sweet batch of Annaversary cards!!! Wonderful work ladies!! Anna, Happy Anna/Mary versary to us. I’ve been watching u for 10 years now and thank you again for your kindness to share and making my days especially on cold Winter days here in Lower Miuchigan. Blessings to you and your great staff!! What beautiful creations that your friends and fans have created to celebrate your Anna-versary! You have made started your company with beautiful products and have continued thru the course of your 25 years with many more items that have sparked such creations in your follows. I love your beautiful papers and flowers and of course, all of your dies, my favorites! I enjoy your HSN shows and have a lot of your products. Thank you for all of your “beautiful in the making” creativity that you pass on to us, everyone I make cards with your things are all amazed and appreciative of my work! It is a joy to watch your appreciation as you look back thru your 25 years and then share that glimpse with us, Thank you again, Anna, for all that you and your company has done for all of us! Enjoy your trip down Memory Lane! I first fell in love with you when you were doing invitations. I loved the trip down memory lane. I’m not up to making a card yet, but I will be sending you a letter. Love and love.
. It is so great to go down memory lane. You have done great things and I know you will continue to do the same. Your ideas plus the great quality of your items make you what you are today. One classy lady and your products show that. Happy 25th Anna versary and many many more. Loved this fan mail Friday. It is so great to go down memory lane. You have done great things and I know you will continue to do the same. Your ideas plus the great quality of your items make you what you are today. One classy lady and your products show that. Happy 25th Anna versary and many many more. Hi Anna! I am just getting started with memory books and you are such an inspiration! Love seeing how you work the designs and papers and your ideas are endless!! Looking forward to the next HSN show….saving my pennies already! Oh I so enjoyed watching this! I get so many great ideas. I absolutely love the card from the fairy tale kit along with a Graphic 45 page! Their papers are the only other ones I collect with AG papers, and I sure enjoyed seeing them in a project together. While I purchased so many things from the last HSN show, I always look forward to the next one. The previews of new items are always my favorite, you can never have too many craft supplies. Well….maybe. But it’s fun and we love it! Thanks for sharing your scrapbooks! I loved seeing them. You have accomplished a lot Anna, & I’m happy for you. It’s all excellent & you can be very proud & feel wonderful about what you’ve achieved. I’m looking forward to seeing you on HSN soon. The dies & supplies I needed to do your last tutorial using the hearts & heart doilies just arrived in the mail yesterday so now I’m ready to do your projects for that. Love fan mail Friday! Beautiful cards! Really enjoyed seeing your memory books with your ads and product line from the last 25 years! Can’t wait to see more from the past and looking forward to what will be new in 2019! You touch our hearts always! Anna, it was so wonderful to see your scrapbooks and history of your company from year one. Please share more! I’ve been buying your products when Michael’s carried them early on. 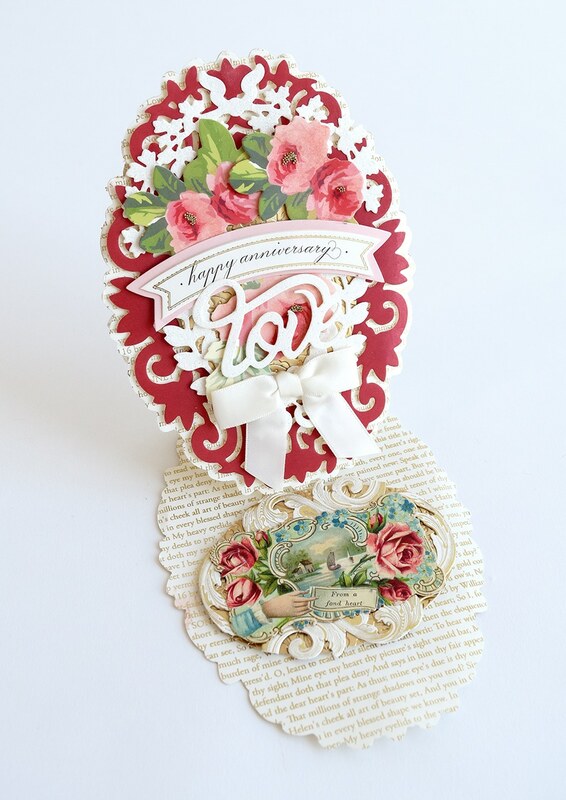 Love your original flourish papers…they were so soft and elegant. Wish you would bring them back. Congratulations for achieving 25 years in business. Anna you are a class act! You inspire us to be better. Thank you from the bottom of my heart. You are so very lovely and I look forward to all your beautiful creations that you share with us. I worked in a Ben Franklin store several years ago and I was privileged to do some of the ordering. Every time I found any of your books I ordered them. I tried so hard to make your cards from the pictures I found. Little did I know that some day you would make the gorgeous dies and paper and a million things to share. I enjoy everything I have ever purchased with your name on it and my friends think I’m so creative. They hear me talk about you so much that when I make something they ask, “is that from that Anna girl you talk about”? I just love your kindness and heart for all the lovely things you share. Life has a lot of difficulties and it is wonderful to have a hobby that touches so many people. I enjoy making and giving the cards and in turn others enjoy receiving. I had a call at work the other day from a person who was so touched with one of my AG cards. How fun! Thank you and many blessings to you. Happy Anna-versary! I am one of your 25 year fans. I know Michaels carried your stamps,small ink pads and paper back books. Once I spotted them I was in there every week looking for your products. My son claims I now have a warehouse full of your products and he is right. Noone can compare with the quality and elegance of your products! Anna, What a delight you are! Happy Annaversary Anna . 25 Beautiful Years – Love Fan Mail Friday and enjoyed all the wonderful memories that you showed us. What a beautiful treasure you have in your scrapbooks. 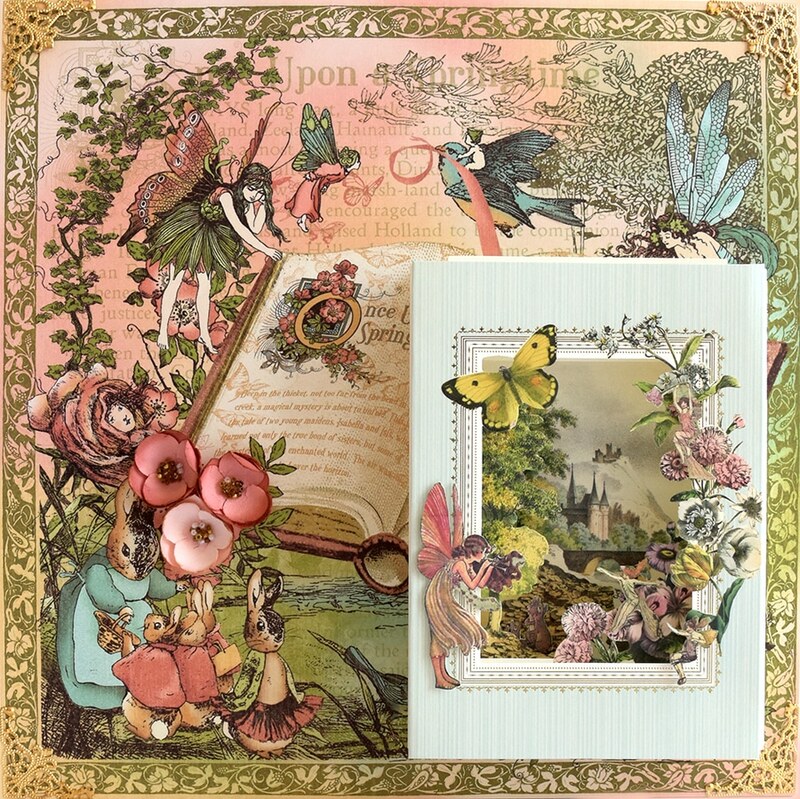 The scrapbook page was so stunning and it was Graphic 45 in the “Once Upon A Springtime” collection. I have that paper so I’m looking forward to using it soon. Thank you so much for all of the kindness and love that you show all of us. Happy 9 years on HSN God Bless you and may God keep you safe. 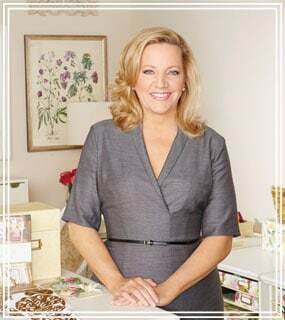 I love all your products, I think I have been with you since you were on QVC how many years ago? I have a number of your punches with All Night Media and some of your first die cuts. I’m still loving your products and my craft room shows it. My next major purchase will be the Empress. Thank you for all of your beautiful products! You are a gracious lady who adds beauty to our world. I’ve enjoyed every Anna product I’ve purchased — @ HSN & QVC. Thank you!!! Really enjoyed seeing your scrapbook of memories of past products and advertisements …thanks for sharing that. ..all the cards sent this week to you were fabulous! Love that scrapbook page! Just precious! Very creative and loved seeing everything. Thank you Anna for sharing memories. And my goodness such beautiful fan cards. And the scrapbook page was absolutely gorgeous! I got the fairytale kit and this has really inspired me. On a very cold,snowy Midwest day it is so cheering to work on a project with your beautiful kits. Thank you! It is so much fun to watch each Friday the cards that you receive. You are so love and we all admire everything that you have taught us. My first card is in the mail with a little something extra! Hope you like it. Love you and merci from moi! Happy Annaversary! Dear Anna, thank you sooo much for showing us your archives! I would LOVE to see more! I also wish you would make videos( to share) of your house and your office. I know both are beautiful! And one of your warehouse. Maybe that is too private, but all your fans would love anything you are willing to share. 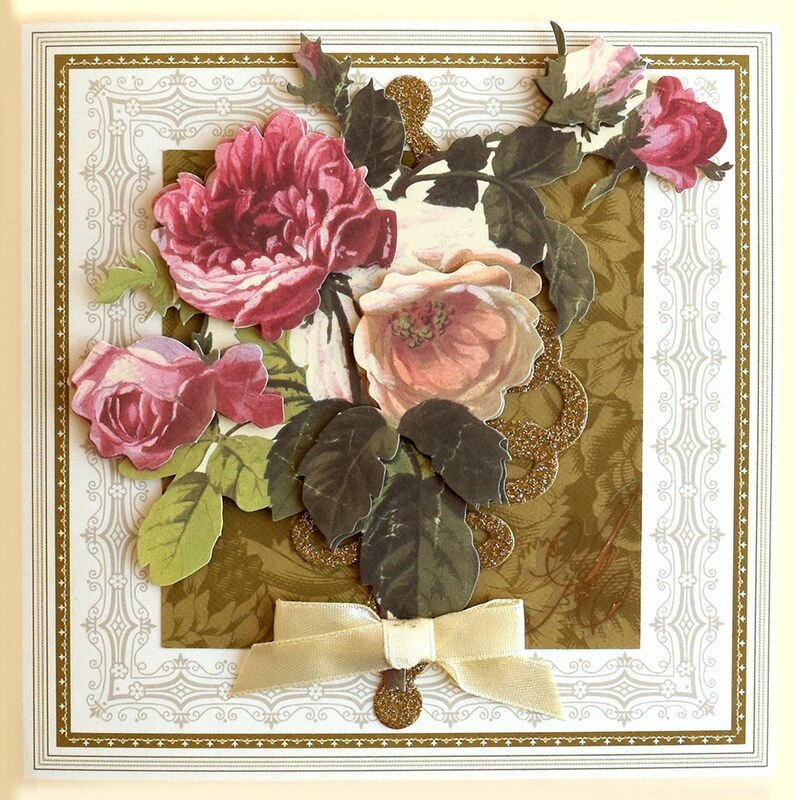 Such beautiful cards, and gorgeous scrapbook page! I love it when I can mix and match all my other supplies with my Anna Griffin goodies, and have always thought that Anna Griffin papers and so many of the Graphic45 papers look great together. I may have to check my stash for some scenic Graphic45 background designs to use with my new Anna Griffin Fairy Tale Card Dies. Thanks for the inspiration, Elizabeth! So Much Talent and Inspirations!! You all are Amazing Crafters!! I just love fan mail Friday and to see all the talent and creative way people use your products. Sometime I pass on a product when I see the cards I hope that I can order the next time you are on HSN, LOL. Your products are beautiful and timeless as we see by your personal scrapbooks. I really enjoyed seeing the different products you started out of producing in your early days! You truly know how to make Beauty come to life from paper! For important days of young women’s lives….Wedding invitations! Plus other pretty items. It is refreshing in these dark times we are living in, to see someone striving to be professional, exact in design, and care about the smallest details. Exactness! Oh…. I love your walk down Memory Lane! Please continue.. I have been following you since you were on Sandy Genovese’s shows and I too have some of your original papers and stamps. I think I’ll have to get it all out and reminisce! I still have most of it. Thanks for the memories! You got a little verklempt going through your annals, and so did I, Anna. I still have Cropper Hoppers of your “first” paper designs, and I hoard them, knowing they can’t be replaced. It has to be a really special project to make me use a sheet. I enjoy your Fan Mail Fridays, and your new Tutorial Tuesdays, and hope you’ll continue those videos. Happy ANNA-versary! Kudos to Elizabeth for her creative use of the Fairy Tale Scenes card in her scrapbook page layout — Gorgeous! I am working on craft supply organization — alphabetizing and labeling cutting dies and embossing folder sleeves, additional Cropper Hoppers (with labels adapted from your Cricut digital Planner Cartridge) because I can’t seem to stop buying your beautiful metallic card stocks!, and then I have several cards in my “to do” line up using my new Lace Edge Die Set. You keep a person busy, Anna! Hi Anna. Congratulations on 25 Years. You are an amazing woman. I have been with you since 2005 when I found you on QVC. My husband couldn’t believe all the cool things I could make from your products. I purchased your first cricket and it is still going strong. I wanted to say going through memory lane and all the Beautiful things in your books brought big smiles for you. Love the fan mail Friday too. I will continue supporting you forever. Pam. B.
I love Fan Mail Friday! Always so inspirational! Thanks for sharing the beautiful cards & projects! I so enjoyed the trip down memory lane with you! Your style is so exquisite and has not changed over the years – which is fabulous! Congratulations on 25 years & 9 with HSN! In a time that is full of unrest, ugly rhetoric, turmoil and suffering by so many people affected by disasters and the political climate, you are a ray of sunshine and hope of what is beautiful in the world. Thank you. My favorite holiday. I love lace, doilies, hearts, gold paper and love quotes. You do it so well Anna. A little teary eyed at the end but you should be so proud of yourself!! All of your products are beautiful and truly amazing! I get so excited to order so many of your items through HSN and enjoy watching all your demonstrations. You are truly a talented and amazing woman! Thanks for sharing with me and all your many many fans! Bless you Anna. Oh Anna, I’ve been purchasing your treasures since QVC. I lost track of you for a bit only to later find you again on HSN. Bottom line, I love your stuff…and you! I watched your video where you were showing the bridal magazine ads and your incredibly beautiful work from the beginning. I was brought to tears when I noticed how those memories had tugged at your heartstrings, as well. Just know how much you are thought of and loved. Please update the embellishments for our guys. I did use the fish and boating ones from years past but we need some others that are more relevant for ages thirty through seventy or so. I love the older things for the gals in my life but need newer for say, my nephew, son, and husband. Thanks for taking this into consideration. And Anna, Happy 25th Anniversary!!! Oh Anna congratulations on your 25th Annaversary ! Well deserved you are a very smart and amazing business woman. You know your business inside and out. And you do it with such grace, firm but kind. And you put out quality and amazingly beautiful products. Something for everyone. You deserve every happiness. I am so impressed that with such success you don’t forget the people that have contributed to your success the consumers. You treat us all like family, you include us you engage with us and you teach us. I don’t know of any other business where we crafters can have type of interaction. You encourage and inspire us that we can achieve a beautiful project and we have. Most companies are just a name. Not only do we see the face behind the name Anna Griffin Inc. we know you the person you make us all feel very special and I thank you. God bless! Happy Annaversary to you Anna! I have been following you and using your products for quite awhile, and am always amazed at the fresh new ideas you have that still maintain your own unique style. Thank you for sharing your scrapbooks with us. It was so touching to see how you were genuinely touched at the end of the video, and that humble quality is what makes you and your brand so likable. May you be Blessed with many more years doing what you do so well! Anna, thanks for sharing your fan mail, so beautiful! And for sharing your own scrapbook of your 1st card that you did! Loved the second scrapbook as well. Wish you’d have showed us more! Elegance and Classic never goes out of style. Your style of work is a testament of this. I so enjoyed your video today. The cards were amazing and it was so nice that you shared your albums with us. I too have been a fan since your Carol Duvall days and purchased stamps and such that you sold in a certain craft store back then. Your emotion at the end of your video is contagious, and I have to admit it brought a lump to my throat. Again, a very happy Anna-Versary and keep the beauty coming. You are so sweet❤️I love your joy and your creativity!! You bring so much happiness to our every day lives❤️ I love the 12×12 card you showed! It seems that right from the beginning everything you did was beautiful, then now and always. Thanks for sharing a piece of your story. OH my word, the FairTale Theme mail, it it absolutely amazing. How nice to share your scrapbook with us. who live in a warmer climate! Anna, what a gorgeous history of you and your company. I want to see it all. Copy the pages and sell them in a hardback book. I know everyone would love it. You could even design a digital version of it which will be wonderful for all of us. Love it! The fairy scrapbook page was incredible. Your sweet spirit shines through all of your work and we so adore you and it! Thank you for being the true genuine person you are! Love all the work showcased today and appreciate you sharing it with us!! I had to pass on your mini fan dies because HSN doesn’t allow delayed shipping and I wasn’t home when my order would arrive. I hope they will make a return appearance! How fun to see a little of your archived work! And you mentioned Marshall Fields…that is my very favorite store on State Street in Chicago!!!!!! Of course it has changed hands but the store itself is still stunning. Anyway, FMF is such fun and people are Soooo talented!! But you make that happen with your wonderful products. Thank you for 25 years of Beautiful in the Making!!! Thanks for sharing your walk down memory lane! I have been working on organizing my papers this week and have come across some of what are probably your very first papers. What a treat for me! Keep your beautiful product coming! Anna, your fans make the most beautiful and thoughtful papercraft items ever. We have you to thank for inspiring us to create them. we northerners are trying to keep warm these days perfect time tow work/play with our crafting. Thank you for opening your store with products on sale. I will be there on 2/12 for sure. I already have my eye on a couple of things. And these fan cards and projects are wonderful. I have to get my act together and send you a Carla Card soon. Love you. I have been a fan of yours since you first started making stamps and scrapbook paper. I have a lot of that beautiful paper as well as two large boxes at least 12inches by 12 inches with fabric covering and beautiful bows, they contain punch out cards for scrapbook pages. As usual they are to pretty to use. I am especially saving the ribbon corners that you made. I have ribbon wound around little cards. Do you think you might go back and make more of that paper you have made in the past? Anna, Your ads throughout the years are timeless and could have come from any publication just printed today !!! A true testament to an elegant product line that has stood the test of time. Thanks for sharing from your 25 years and may you continue to fill many more albums in the future !!! I love the very first designs and the encouragement you’ve always sparked in us crafters. From Sandy G to now… we still love our Anna Griffin. Your legacy continues… thank you. Thank you for sharing some your archives. Really enjoyed seeing all the beautiful cards and all of your oldest creation. Beautiful as always. Wow, Anna. You started off your company with a bang! You obviously followed your heart and did what you knew and loved—and it paid off. I’m so happy for you! Thank you for sharing some of your history with us. I remember watching you years ago on Sandi Genovese’s show on the DIY network and being mesmerized with your beautiful things and techniques. I so wanted you to have your own show because they just wouldn’t or couldn’t give you enough time for everything you had to share. But now look! You get to share your beautiful things and techniques with the whole world and there are no more time limits! Yahoo! Look how that worked out! I love it! Congratulations! FMF! Love it all. Elizabeth you are an incredible crafter! Anna – You are blessed and amazing! So sweet Miss Anna! Thank you for sharing the walk down memory lane. I cried too! You are such a tender host. Thank you for sharing your beautiful past collections. I love to see what is being made on fan mail Fridays. What a beautiful memory lane trip Anna. Thanks for sharing all of it with us and bringing us all those wonderful products. You are truly amazing and a gift. May you be Blessed for another 25 years and may you enjoy the fruits of your creativity though others. Happy 25th Annaversary. I so enjoyed you sharing your scrapbooks. So much elegance & grace. Just incredible samples! Waiting for the ones of back order to become available! 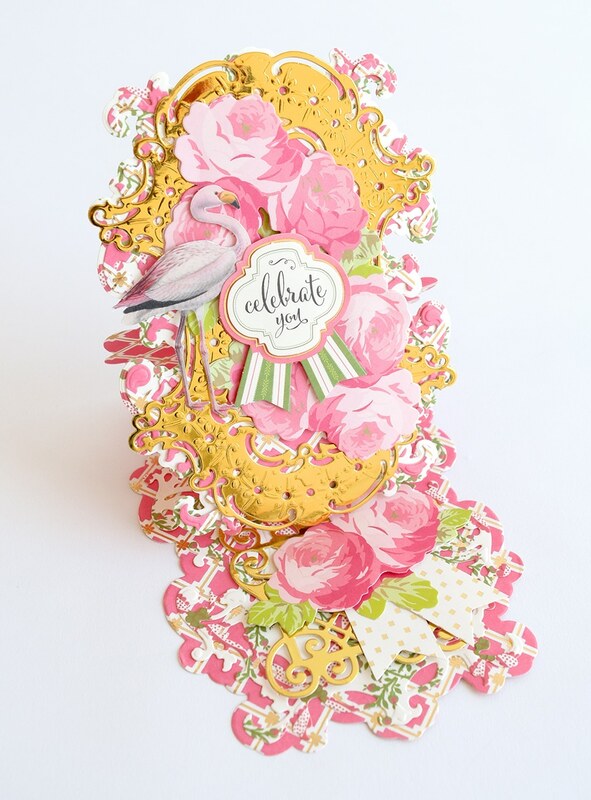 Love the above cards…..stunning! I have soooooo many of your dies and love every one. You truly make life more beautiful. Take care and see you on the 5th. WOW ! ALL the cards and the scrapbook page are FABULOUS ! Next week will be loaded with mail for you I am guessing! THANKS for the many wonderful years of terrific products. Love these treasures shared today! You ladies are really creating some beautiful cards. Anna, remembering your past work SHOULD bring you to tears. Imagine all of the special events your lovely creations have helped to make even more special – weddings, showers, birthday, what joy! Thanks for bringing beauty and joy to our frenzied world. I enjoyed looking at your scrapbooks. I remember you being on The Carol Duvall show on HGTV. Am I right? booking and card making. Thank you for all your great items, it makes card making at 77 a lot fast and so much prettier. Got a Empress and just love it. God bless and may the Lord bless you with another 25 years. You are a Blessing to so many of us.